Please follow the related link to our dedicated Admissions page which sets out the Admission arrangements for Toot Hill School. These arrangements are without prejudice and are set out in accordance with DfE regulations. Any changes to the arrangements must be approved in advance by the Secretary of State. No change to current arrangements. Please follow the related link for further information. Please follow link for details. Please follow the related link to the DfE Performance tables for Toot Hill School. At Toot Hill School we endeavour to teach pupils the value of investing in their own future by working hard in every lesson and every day. Pupils are set personalised and challenging academic targets in every subject. These targets allow staff to recognise and celebrate the progress made by hard-working pupils, regardless of their comparative attainment. Targets are set using ‘Fischer Family Trust Aspire’ estimates that consider a pupil’s prior attainment, gender and month of birth. These targets support our aspiration that all Toot Hill pupils will do at least as well as their peers studying in the top 5 % of schools nationally. Teachers are expected to help pupils work towards these targets by planning and teaching lessons that cater for all pupils, and by marking pupils’ work regularly and providing feedback that helps them to improve. Pupils receive a report every term with grades and scores for attainment, attitude and homework. Attainment grades are coded either blue, green or red, depending on whether teachers judge a pupil to be ‘above’, ‘on track’ or ‘below’ when comparing the current attainment level to the aspirational target. Working hard enables pupils to fulfil their potential and hence fosters self-knowledge, self-esteem and self-confidence. It connects pupils with their own personal and academic development, and teaches them that everyone can achieve, if they are prepared to invest their time and effort. It also helps pupils to understand the need to respect the rights of every pupil to learn in a calm, focused and supportive atmosphere. All schools are charged with developing pupils’ knowledge and understanding of spiritual, moral, social and cultural issues and themes. Subject leaders complete an SMSC audit of their taught curriculum, and identify opportunities for teachers to engage pupils in wider debate. Our staff promote a sense of social conscience, empathy and appreciation of the diverse nature of modern Britain. Some elements of SMSC education are delivered through bespoke activities such as themed days, assemblies, charity events, tutor set activities and the work of our student council. These activities provide pupils with opportunities to learn about their rights and responsibilities in society, based upon the qualities we value at Toot Hill School: hard work, honesty, good manners and consideration for others. Our students are encouraged to regard people of all faiths, races and cultures with respect and tolerance. Students have regular assemblies on these themes. In Years 7 and 8 pupils follow a varied curriculum that is prescribed for them and largely the same for all pupils details of which can be seen in the link attached. Note that a relatively small number of pupils in year 7 and 8 have a reduced modern foreign language period allocation to allow them to access extra lessons in English. Our school day starts at 8.30 a.m., with a 15 minute Tutor Period, and finishes at 3.00 p.m. (2.10 p.m. on Fridays). Pupils have a 15 minute break in the morning and a 45 minute lunch break. In Years 7 to 11, pupils are taught eight 45 to 55 minute lessons a day. In addition, the school offers a wide variety of enrichment opportunities after school as part of ‘extended study’ to all of our students. These operate from 3.10 to 4.15 pm on Monday to Thursday and 2.20 to 3.30 pm on Fridays. All pupils continue to study English (GSCE English Language and GCSE English Literature), Maths and Science through Key Stage 4. In Science pupils follow either separate GCSEs in Biology, Chemistry and Physics or GCSE Combined Science which is two GCSE qualifications. Every student has to study GCSE Geography or History although students can elect to study both of these courses. All pupils continue to have ‘core’ PE lessons every week. • WJEC Hospitality and Catering. Note that students are assigned a differing number of option subjects dependent upon the ability band that they are taught in. Note that the number of options for each band is reviewed every academic year for the new year 9 cohort. Students then adhere to this option structure throughout KS4. For the academic year commencing in 2018, entry requirements to study at Toot Hill College include at least a grade 4 in GCSE English Language and a grade 4 in GCSE Mathematics. • BTEC Sport (Double Award) • BTEC Travel & Tourism. Well-respected and recommended by top universities, College students at Toot Hill College are offered the opportunity to research and write a 5,000 word project on a topic of their choice. An active Students’ Union enables greater autonomy for students in the creation of a ‘higher education’ ethos and provides opportunities for consultation regarding key college decisions. Students complete a two week expedition abroad as a team, including a community project, a challenging trek and a sight-seeing element. Our post 16 students have a weekly mentoring session, timetabled independent study and extra support if they are continuing to work towards achieving a GCSE grade C in English or Maths. They have opportunities to work with younger pupils, have literacy or learning mentors or subject ambassadors. Each student is encouraged to undertake the Toot Hill passport volunteering scheme. Duke of Edinburgh and World Challenge provide exceptional opportunities for students to develop character and resilience in preparation for the world post college. There are also paid responsibilities for college students within the school to enhance lunchtime supervision capacity. The ethos at Toot Hill School places student well-being and achievement at the very heart of our approach to learning. It is this set of ideals, coupled with our hardworking students and dedicated staff, that has seen Toot Hill ranked as one of the top-performing secondary schools both locally and nationally over recent years. Our ethos and values make a clear statement that the traditional qualities of hard work, honesty, good manners and consideration for others sit at the very heart of Toot Hill School. Toot Hill School is committed to providing high quality education. This means promoting positive attitudes, behaviours and learning habits so that students can develop to their full potential. There is an inexstricable link between behaviour and achievement, it is therefore essential that Toot Hill school promotes good behaviour and challenges unacceptable behaviour to ensure pupils achieve their full potential. This is a basic expectation that must underpin the daily work of our school. High expectations, shared values, fair and consistent application of awards and sanctions; combined with effective teaching and active tutoring are key to promoting positive behaviour and ensuring great achievement. Please see the link attached for further information. 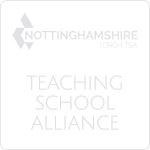 Our policy applies to staff, governors and volunteers working in our school and takes into account statutory guidance provided by the Department for Education (DfE) and local guidance issued by Nottinghamshire County Council. 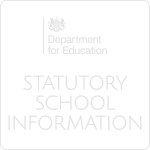 Our school safeguarding and child protection policy incorporate the duties and responsibilities set out within the Education Act 2002, DfE statutory guidance Keeping Children Safe in Education 2016 and HM Working Together To Safeguard Children 2015. Toot Hill school recognises its responsibility for the health and safety and welfare of staff and students. We recognise that decisions about workplace health and safety should take into account the views and priorities of the workforce as well as the management. SLT lead a small team who focus on monitoring and reviewing health and safety policies and procedures working closely with a designated health and safety officer. Please see the document attached for our Health & Safety policy. The Complaints Policy is available to download here. There were two complaints received and dealt with in the academic year 2017/2018. Pupil Premium Funding Allocation for 2017-2018: Toot Hill School was allocated £196,350 based on 13.6% registered for Ever 6, Free school meals, Looked After Children and Service Children. Toot Hill School falls on the border of the lowest and 4th quintile for receipt of Pupil Premium funding. 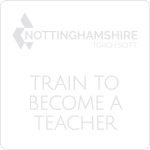 Please follow the related link to the dedicated Pupil Premium page. The Catch Up Premium is funding given to schools to provide additional support to Year 7 pupils that did not reach the ‘expected standard’ in Reading or Maths at the end of Year 6. Please see the document attached for details of this funding for students at Toot Hill School, how it has been spent and the impact of this expenditure. • Toot Hill School is committed to the promotion of equality of opportunity and places great value on the diversity of its community. The provision of equality of opportunity and respect for the needs and rights of the individual are fundamental to the values of Toot Hill School. Toot Hill School fulfils its general and specific duties in relation to equality of opportunity and actively demonstrates due regard to the need to eliminate discrimination, advance equality of opportunity, and foster good relations between different people when carrying out their activities, in all strands as identified in the Equality Act 2010. • To improve the average attendance for all pupils to be 96% or higher, and keep persistent non-attendance figures below national average for all groups of pupils, including disadvantaged pupils. • To improve the achievement of SEND students and disadvantaged students to be line with national data. • To raise expectations amongst staff and students in order that 80% of young people on roll to make at least nationally expected progress each year in all core subjects. • To ensure that young people who are eligible for pupil premium (in receipt of free school meals in the last 6 years or are a child in care) have adequate support so that they attend school regularly and that the majority make nationally expected progress that is in line with their peers. • To review and revise the curriculum so that it represents a diverse culture and society and encourages tolerance and respect. • To ensure that images used around school, for example, in lessons, noticeboards, assemblies represent the diverse culture and society we live in. • To improve communication with parents and carers who are marginalised by personal circumstances such as lack of transport, language barriers or low confidence by liaising with them regularly and meeting with them regularly and providing support such as interpreters, as necessary. • To improve attendance to parents evenings, particularly for those students who are eligible for pupil premium funding, have a special need or disability or for whom English is an additional language. • To ensure that young people with disabilities who attend Toot Hill School have a voice through promotion of the Pupil Voice and increased opportunities for wider student participation. The Nova Governance Arrangements are available to download here. Please see the attached document for full details of governors.